A Middle Tennessee native, Dr. Jimmy Berthaud, came to Belmont as an undeclared major and graduated in 2006 with a degree in biology. He went on to receive public health and medical degrees from Columbia University and Meharry Medical College. Berthaud thought about music business as many Belmont students do, before deciding the business side of things wasn’t for him. He finally landed on biology as a major after taking a class that peaked his interest. After Belmont, Berthaud headed on to medical school. He chose to go into neurology specifically because he wanted to do something more focused and logical. While neurology specifically targets conditions of the brain, spinal cord, peripheral nerves and muscles, Berthaud believes it allows for many career options and directions within the field. He also was attracted to the flexibility of the job and mentioned that he has the ability to create his own work schedule. During the college search process, he looked into Fisk University as well as TSU but landed at Belmont due to their impressive pre-med and health track. In his time at Belmont he was involved in Towering Traditions, SGA and Phi Mu Alpha (the music fraternity on campus). He also served as a research assistant at Vanderbilt while attending Belmont. Asked who were some impactful people in his professional life, Berthaud explained that his father is a physician, so he had grown up seeing his father do medical work. Some other people who received honorable mention in his development were current biology faculty members Dr. Nick Ragsdale and Dr. Jennifer Thomas. After graduating from Belmont, Berthaud trained to be a doctor for six years before he acquired his current job. 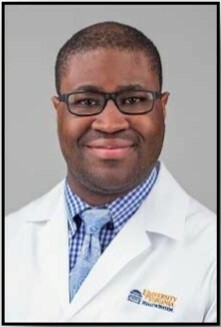 He currently resides in Ann Arbor, Michigan, and works as an assistant professor in the Department of Neurology at the University of Michigan. While Berthaud’s time is primarily spent on his academic duties, his day-to-day work varies and entails seeing patients in clinics, teaching, taking calls and much more. He recommended to be “committed and ready for a professional career because this is something you will do for years.” Some of his future and career goals are getting promoted to the rank of professor. Berthaud would like to continue to build on his educational career and hopes to receive a leadership role in the future.